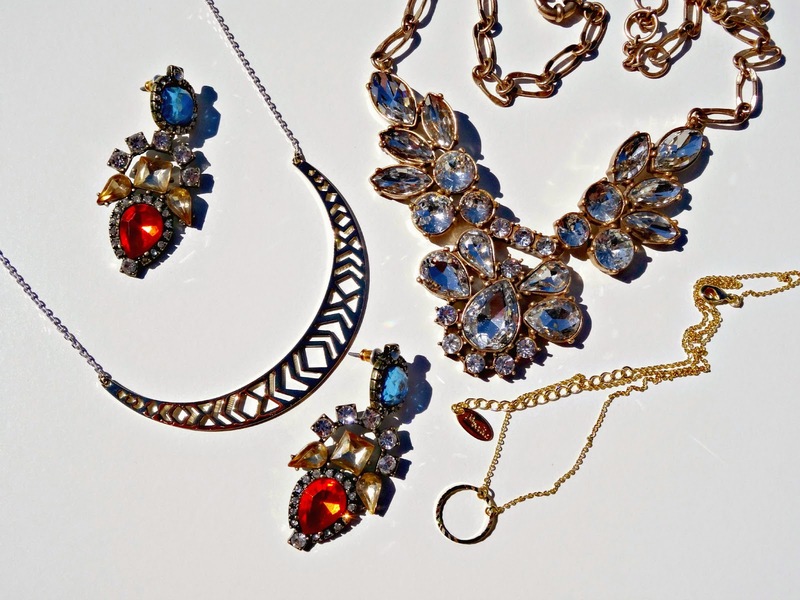 Fashion: Dainty Or Statement Jewellery? How You Can Rock Them Both! Dainty or statement, avid readers of my fashion, film and lifestyle blog know how much I love jewellery and that I will introduce you to a new brand occasionally. With new accessory brands popping up by the minute, I'd like to share with you two recent discoveries named Rara De Barr and Orelia Jewellery. Born in 2014 by two ambitious sisters, Rara De Barr first ran entirely as weekly fixed price auctions on FB. 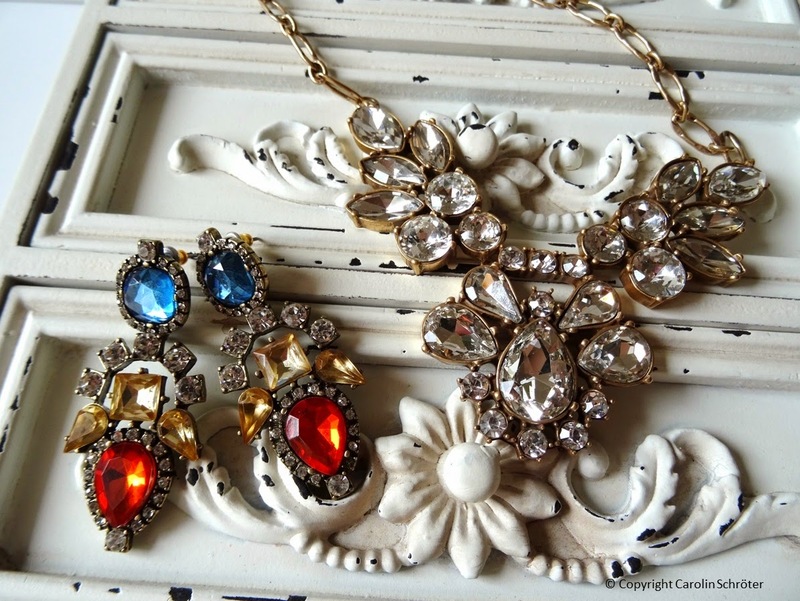 These are still run today with the addition of a website where you can find chunky statement jewellery and accessories. As statement already implies, the styles are elaborate and sumptuous without looking cheap or tacky. 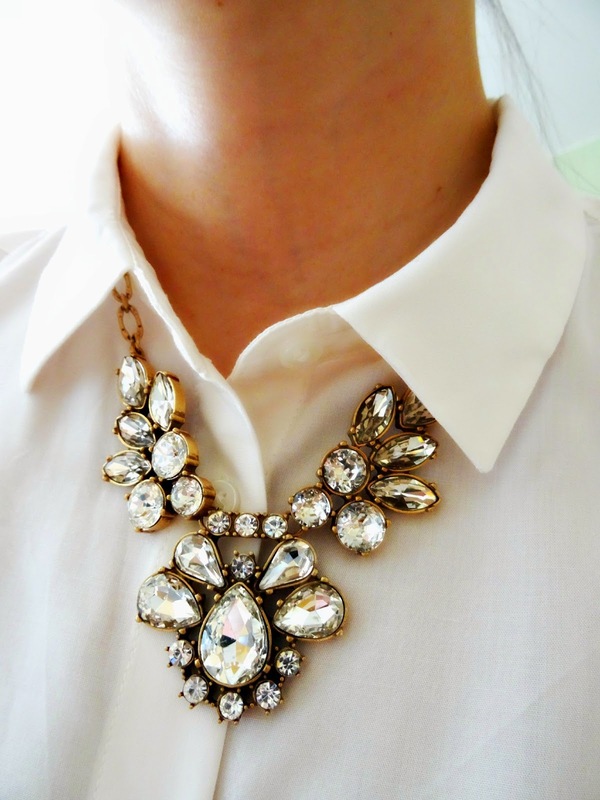 The Clear Plume Necklace* has a romantic touch which you may have seen in my recent style post A Romantic Spring OOTD. This necklace can be worn on a night out or for a special occasion, it will glam up any outfit in an instant and works best with basic styles. 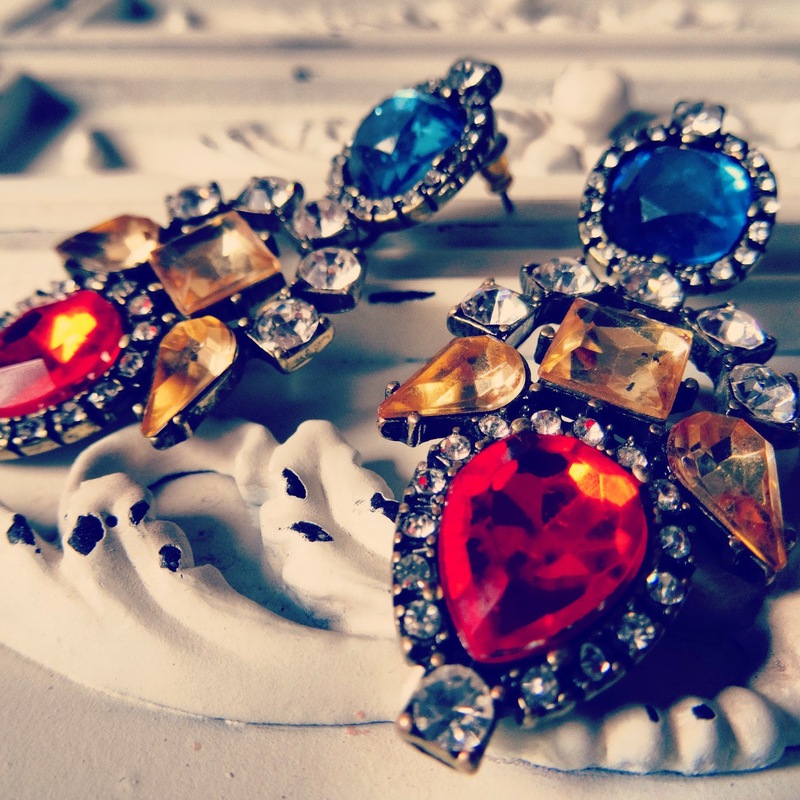 The multicoloured Eclipse Earrings will make a fantastic addition to any jewellery hoard and create a fantastic night, as well as day, look. 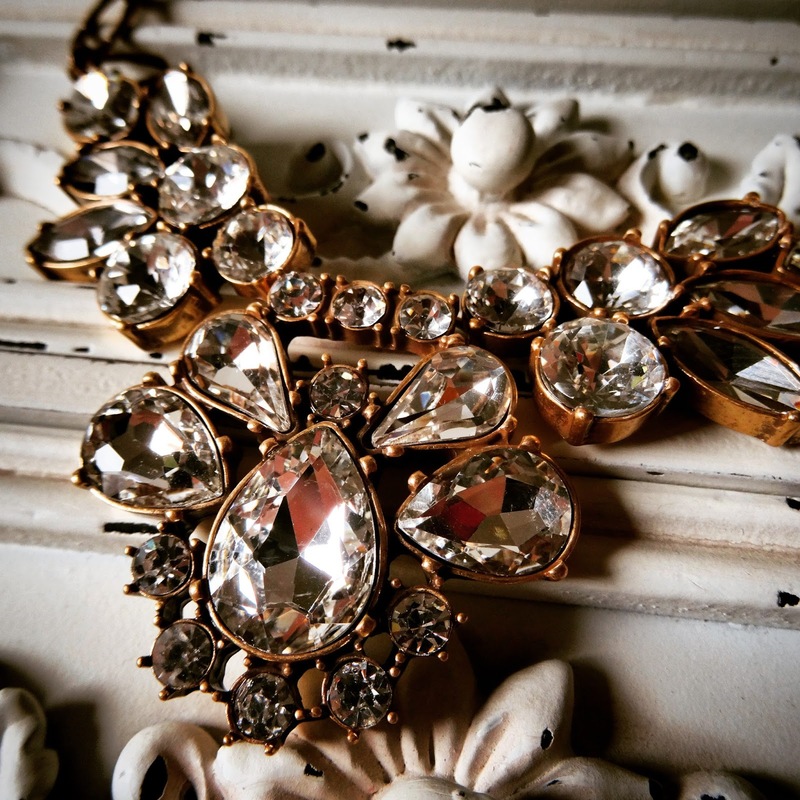 Statement jewellery will apply the wow factor to any basic outfit. Items are eye catching and speak for themselves. In most cases chunky fashion pieces don't allow other jewellery accessories to shine, they simply don't like competition. When you want to wear statement jewellery make sure your outfit is not overloaded, keep it simple, basic and use the statement to put highlights into your look. 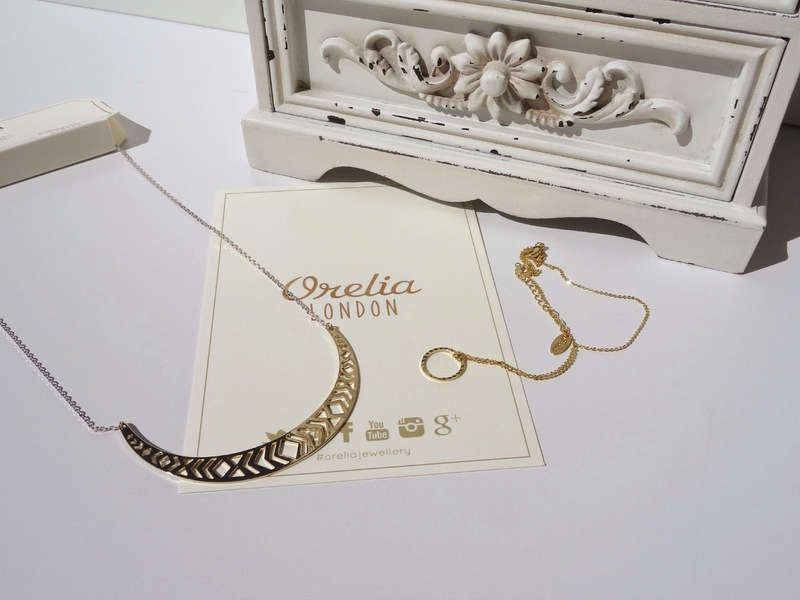 Orelia, founded by former jewellery buyer Louisa, launched in 2007 as a consultancy, working with brands such as Accessorize. You may have seen the British jewellery at the Topshop flagship store in Oxford Circus. Here you can find the entire collection of fine necklaces, rings, earrings and bracelets which aim to be a cross between High Street and luxury jewellery. Most pieces are delicate and so fine, I feel I could break the item by just looking at it. The collection is designed in house using high-quality materials such as Swarovski crystals and semi precious stones. Orelia jewellery prides itself to be hypoallergenic, lead-free and nickel safe. 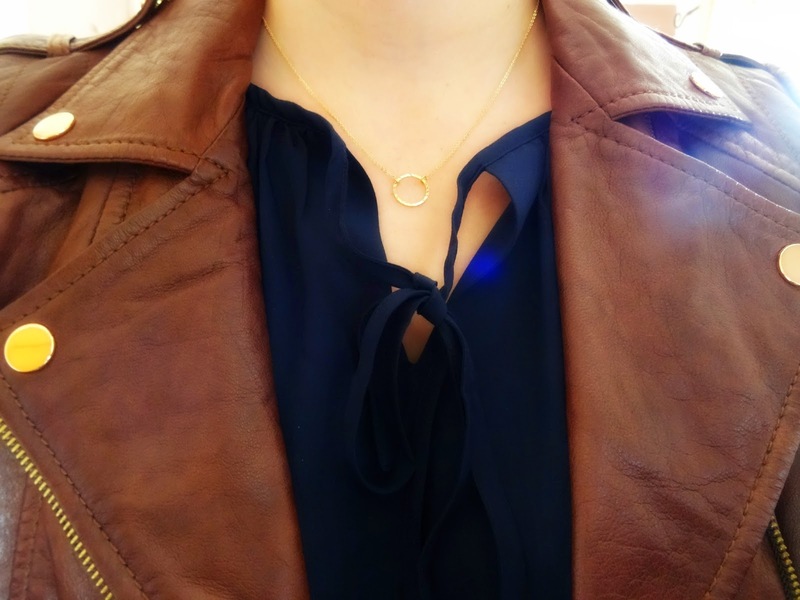 The circle necklace was an AW14 must-have (I reported in my Fashion Check In Berlin post) and I still love them as they are so versatile when it comes to styling. The round shape transmits harmony and the Orelia Circle Ditsy necklace is very pleasant to the eye. Such a cute little stunner! Delicate and calm, that is dainty jewellery. 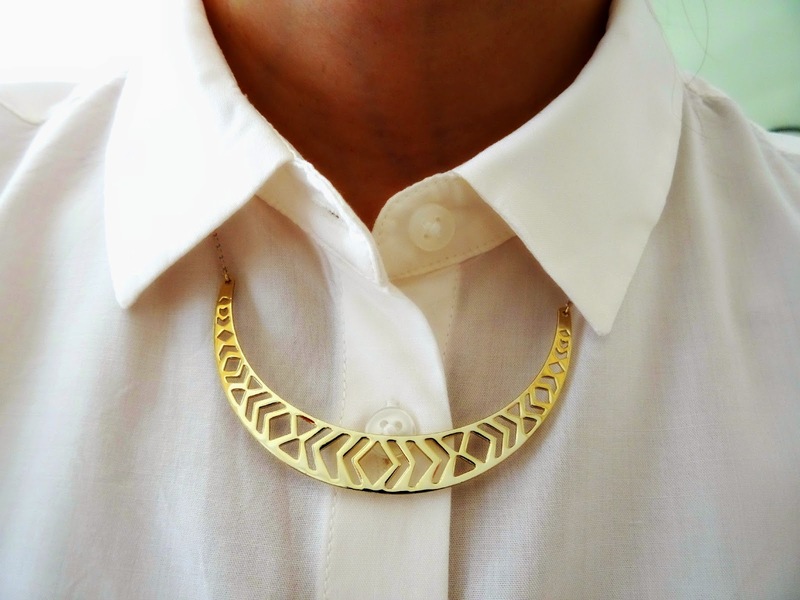 The fine golden necklaces, that can make a subtle difference to your outfit. Dainty pieces enhance and apply a very soft but sophisticated touch to blouses and dresses. For me, those pieces work best in the background and don't want to be straight-in-your-face. Dainty jewellery wants to be recognised but in a more silent way. It is that little golden shimmer that others will notice when you move your neck or it is that little piece that makes your outfit complete. Fragile jewellery can give a cool outfit a feminine touch or add a final finish to your look. Thank you so much for reading today's post and I hope you'll be joining me on my next adventure soon. Do you prefer statement or dainty jewellery? How would you style the Plume Necklace (Rara De Barr) or the Geometric Statement Necklace (Orelia)? Do you prefer online shops or do you buy your pieces from the High Street? 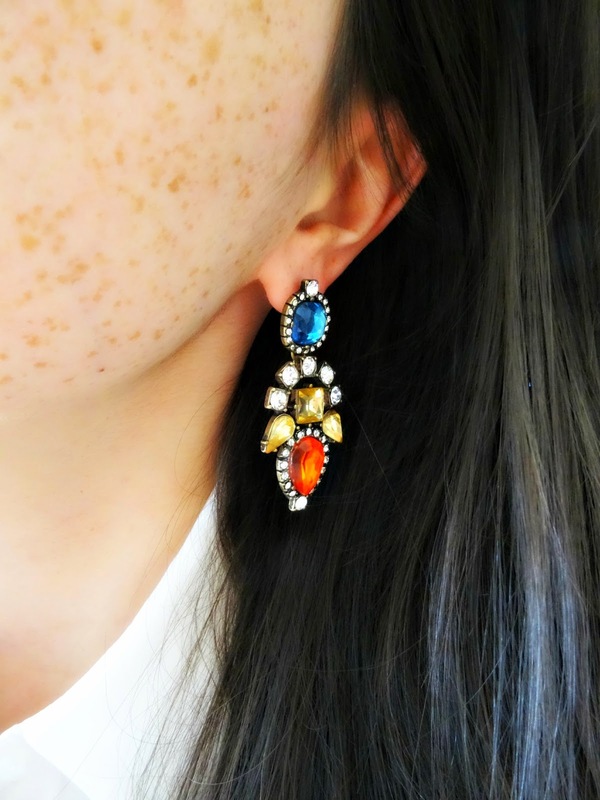 Let me know what you think, I'm looking forward to your comments and I've got another jewellery piece on StyleLingua, Festival Jewellery By Touchstone, which you may enjoy too!